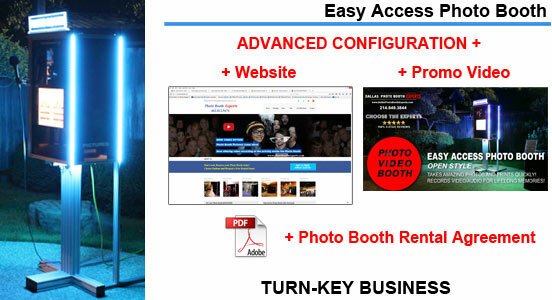 The Easy Access Photo Booth comes with our exclusive PTBooth A1 PRO custom photo booth software. 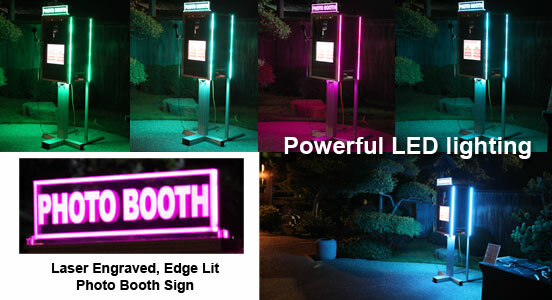 With LED Lighting Package your Easy Access Photo Booth will be equipped with Powerful Color Changing LED lights on the sides and at the bottom of the unit. 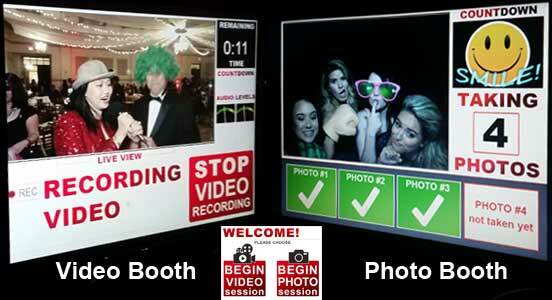 This package includes Laser Engraved, Edge Lit Acrylic Photo Booth Sign. 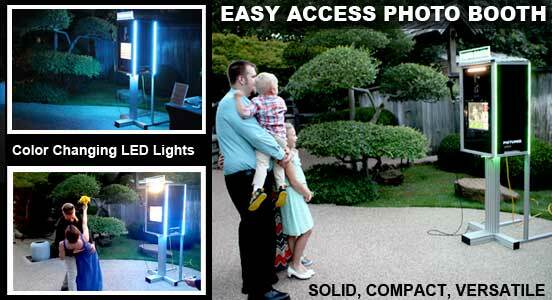 It comes with the Programmable Remote that will allow you to manipulate your LED lights. 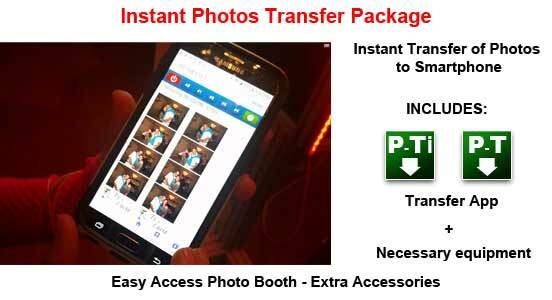 The Instant Transfer of Photos to Smartphone package will allow your customers INSTANTLY DOWNLOAD PHOTO BOOTH IMAGES directly to their smartphone! NO INTERNET REQUIRED. 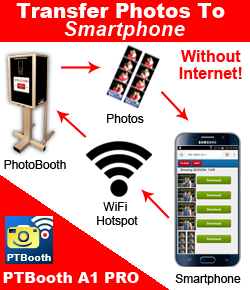 The beauty of this functionality is that you don't need internet connection.